I find myself reading a lot of poetry lately. Perhaps because I find that I could relate to it more compared to a fantasy or contemporary read. It also allows me to connect with the writer in a more in-depth way as he observes love, relationship and his views of the world. 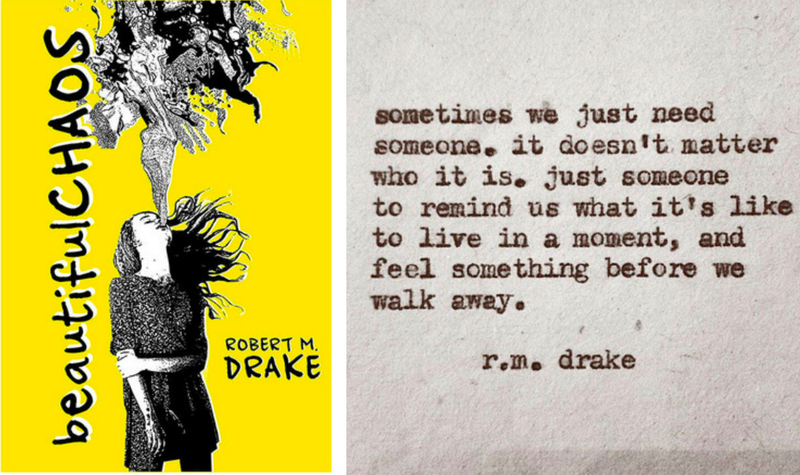 I'm pretty sure someway, somehow you've already come across Robert M. Drake or more popularly known as r.m. drake. He is one of the few authors who can really describe and capture the essense of human emotion without it being too dreamy or unrealistic. In this book he uses a lot of earthly metaphors such as the sun, moon, stars, fire and nature to describe a feeling or a relationship. But then as I read along, it kind of gets too repetitive and that's where I start feeling a bit off about it. Nonetheless, I still suggest you grab this book. It's beautifully written and it's a good read when you just want to have a sweet escape.